Rocked by terrorism, shifting cultures and morals, economic turmoil, and rapid technological change, the world has changed a lot since 2000 and stands wholly apart from the 20th century. Each and every year directors are capturing life as it is in the moment through a variety of lenses. Their scopes are big and small and their stories are all diverse. As we plunge further into the 15th year of this century, let’s look back at how we’ve defined ourselves so far. With the 2000s, CGI helped bring big pictures to life and pushed the superhero genre to the forefront. Combining action, comedy, and a slew of video game and pop culture references, only genre-bender Edgar Wright could have adapted Scott Pilgrim. Scott is a 22 year old musician in Toronto who falls for an American delivery girl, Ramona Flowers. Oblivious to his own actions, Scott constantly lets down his friends simultaneously battling Ramona’s “Seven Evil Exes.” While something of a standard hero vs. trials story, it’s easy to see that it’s also a very honest boy meets girl tale. All of the crazy special effects give the movie a superhero/adventure type feel but the constant offbeat humor puts it in the indie comedy camp. Boasting a slew of indie favorites like Michael Cera and Aubrey Plaza, this will be a cultural touchstone for years to come. Zach Braff set off to show just how wrong the country is in its perception of New Jersey by focusing on a deeply depressed man who may have caused his mother to become a paraplegic. Andrew Largeman is called back home by his father when his mother dies and starts to reconnect with some old loser friends. In a doctor’s office he also meets a compulsive liar named Sam, whom he befriends and begins an interesting relationship with. His father, who is also his psychiatrist, has had him on medication for almost his entire adult life and in the fallout of his mother’s death, Andrew begins to question what is good for him and what is working against him. With a cast of unique and bright characters, each brings something interesting to the table and provides a moment of pause. At a time when medicating in America is at a high, Garden State asks the question of whether these are things that we need or simply things that we are relying on. Mud is a coming of age movie with layers like an onion. Two friends, Ellis and Neckbone, discover a man, Mud, living in a boat stuck in a tree who agrees to give them the boat if they bring him food. What they soon learn is that Mud is a fugitive, avoiding a family who seeks revenge on him, and there may be powerful people helping them. Mud is still hung up on his ex-girlfriend, Juniper and the two have a difficult past. He enlists the boys to bring him an older man named Tom, who tells Mud he wants nothing to do with him. Ellis’ parents are on the verge of divorce and Ellis himself is discovering how confusing adolescent crushes can be. The whole movie is set against the Arkansas bayou in a small and dilapidated town. Everything constantly seems on the edge of falling apart, from the infrastructure to all of the relationships. It’s as though the town itself is on the run, trying to escape the realities of the modern era. The power structure is unhelpful at best and criminal at it’s worst. 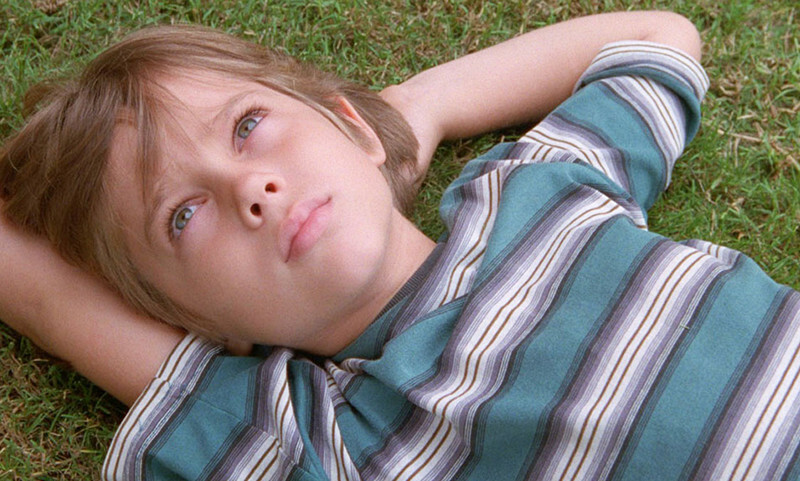 Mud is an amazing meditation on manipulation, loyalty, and confronting the realities of time. Beyond the fact that there would probably be some firing and expulsions after all of this, Mean Girls is one of the most accurate portrayals of an American high school. Cady Heron is 16 and has just moved back to the US after living in Africa. A perfect way to introduce an outsider to the American educational experience. Cady knows nothing of cliques and high school dynamics. Self described artsy types, Damian and Janis, warn her not to engage with “The Plastics” a clique of the three most popular girls in the school, led by Regina George. But when Regina takes an interest in Cady, Janis convinces her to infiltrate the group and topple Regina from the top of the social hierarchy. Cady learns about the “Burn Book,” the Plastics scrapbook of dirty secrets on everyone in the school, faculty included. When Cady takes an interest in Regina’s ex-boyfriend Aaron, Regina tries to get him back, upsetting Cady who flees to Janis. The cracks begin to form but they reach deeper than intended and soon no one in the school is safe. 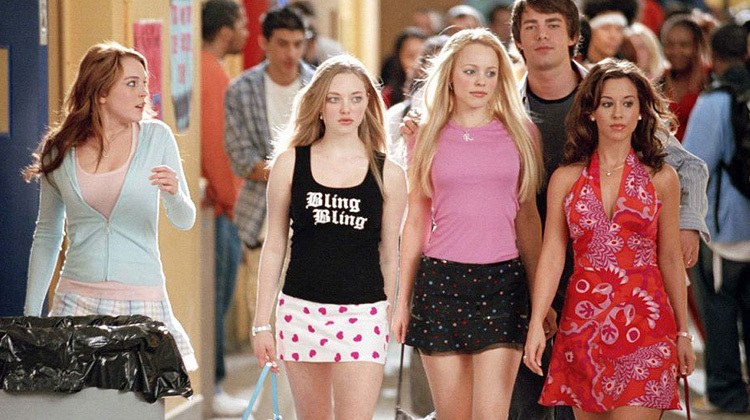 Mean Girls takes the high school drama and adds a much needed dose of humanity and realism. While the characters might be stereotypes, they are also real people. This allows the high school experience to come through and shows the ramifications of bullying and petty revenge. An escape into the woods by a group of three adolescents boys leads to a strange construction project. Joe builds a house from scrap with his friend Patrick and their odd tagalong Biaggio. After forming a pact to not tell anyone about the house is broken things start to fall apart. Identity plays a big role. All three of them are trying to escape the pitfalls of adulthood that are looming right around the corner. Their parents are all different shaped obstacles in their path. Joe’s thinks his father is too controlling. Patrick’s parents embarrass him and lower his confidence. And Biaggio’s parents don’t seem to even notice him. The Kings of Summer both humorously and deftly looks at kids trying desperately to avoid becoming their parents in the modern era, establish their own identity, and realize there’s a lot more to learn. With the Internet and TV rapidly changing, changing how and what we consume, Chef takes a good look at what it means to shake things up in order to stay viable. Carl Casper is the head chef at an upscale restaurant and is heading towards a midlife crisis, fighting with the owner, and earning a bad review from a prominent critic. Unused to social media, it becomes a blessing and then quickly a curse for him leading him to move to Miami to start a food truck and spend more time with his estranged family. Not only does he find his passion again but he also starts to rebuild the connections he’s been looking for. 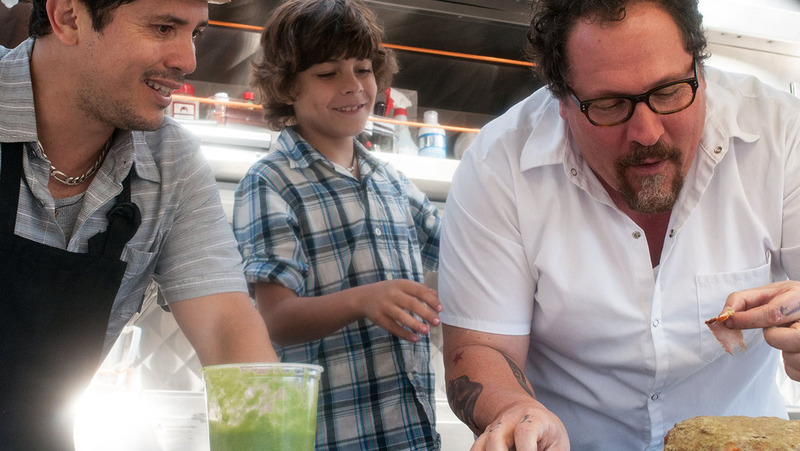 Chef is a charming tale first and foremost about family and passions but also the changing landscape of the food industry. Highlighting the importance of technology in modern marketing and how even in the prime of one’s career it is important to keep learning. A wrestler far past his prime is living a life he never saw for himself. Everything about Randy is broken and he goes through the motions every day, now working at a supermarket, where he still can’t escape torment. After a success at a small match, he begins thinking about a rematch against his biggest rival: The Ayatollah. This could boost his career again and give him some financial stability. But preparation, including steroids and workouts, really starts to take its toll on him and he calls it off when he is warned the stress could kill him. At the encouragement of a friend and stripper, Cassidy, he tries to reconnect with his daughter Stephanie and things start going well. When his relationships start to sour, Randy returns to his reckless ways and thinks maybe fighting the Ayatollah isn’t such a bad idea. A celebrity who has fallen from stardom trying to do whatever they can to hold on to any shred of humanity, The Wrestler looks at what happens after the 15 minutes of fame and how difficult it is to make the right choices when you’ve already made so many wrong ones. Shaun is a loser with a dead end job and relationships failing all around him. But London hits its own dead end when the zombie apocalypse begins. Jumping into action with his best friend and deadbeat flatmate, Ed, they begin their trek through the city to save Shaun’s girlfriend, Liz, her friends, and his mother and stepfather. The comedy comes from the fact that no one really likes each other and without the apocalypse they have no reason to be together. As things become increasingly desperate and chaotic, true feelings start to come out and the safety of the group is ultimately in question. 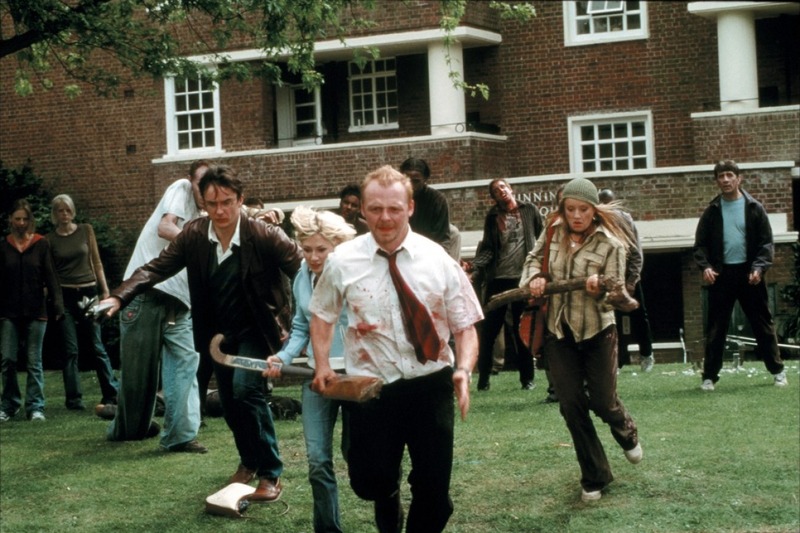 Everyone nowadays seems to have their own zombie survival plan and likes to think they would be king of the hill should the dead really rise, but Shaun of the Dead looks at what would probably really happen. Shaun resents his roommate Ed, his stepfather, and Liz’s friends and ultimately has to battle his feelings about them at the same time as he tries to lead his group to safety. A hilarious look not only at the zombie phenomenon but also modern relationships between not-so-close friends and family.